Modular Origami (Unit Origami) is a kind of new Origami technique which is made by using more than a piece of paper to built bigger models. Usually each piece have a pocket or pockets, a flip or flips and the models are built by joining the flips to the pockets. 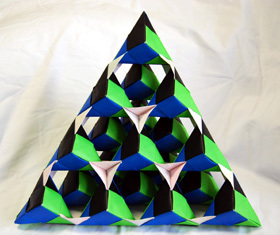 Although Modular Origami is not limited with only a piece of square paper it keeps the “no sticking and cutting” however there are some Origamists using glue and cutting tools. Although it is not certainly known when Modular Origami was first appeared, it is firstly mentioned in Hayato Ohoka’s wood engraving drawing book called “Ranma Zushiki-欄間図式 (Cross Beam Drawings)”, 1734. In that book beside the Classic Origami drawing there is the Modular Origami like drawing which is an Origami cube. After that time it is understood that picture was the traditional Tamatebako Box (玉手箱), means “Magical Treasure Box “, which was formed of 6 pieces. In 1965, Isao Honda (本多 功) showed how to make that model in his book Origami World. 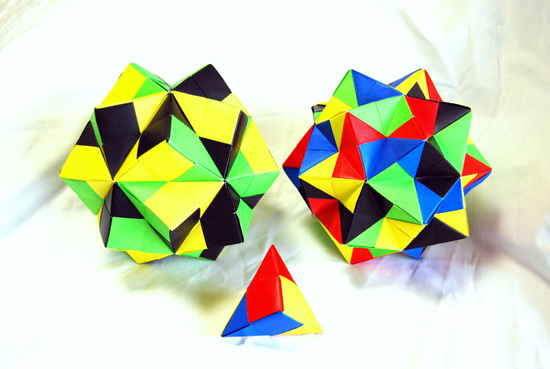 Besides Tamatebako there are many other traditional Modular Origami models. The most famous one is the decorative balls called Kusudama (薬玉). In the traditional Kusudama pieces are joined together with some pieces of thread. Today, all ball like 3d polyhedrons are called Kusudama. To make it look more beautiful tassels are added beneath the Kusudama and hang with some string. 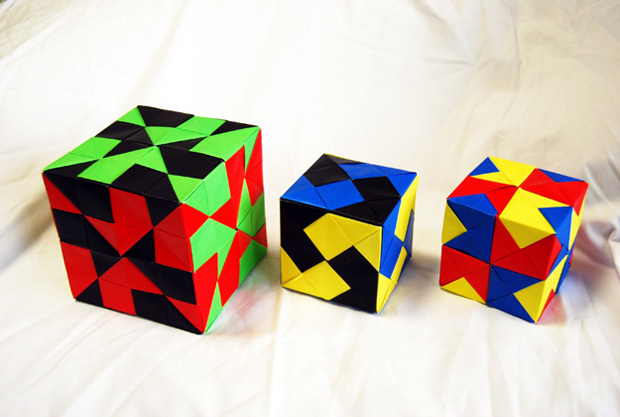 Modular Origami can be divided in to two groups; 2d and 3d. The 2d group is based on joining of mosaic, star or coaster like structures together forming a plane. 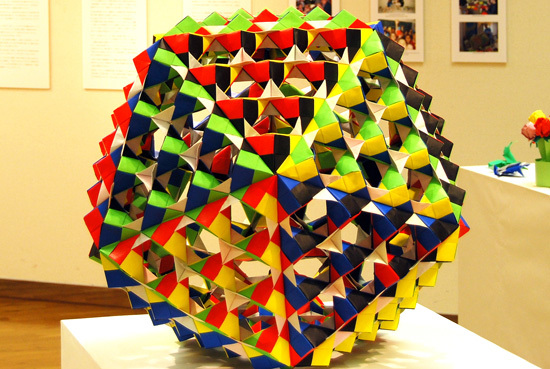 In 3d Modular Origami pieces are combined aiming to make a 3d shape. Polyhedrons are good examples to this group. If each piece is considered as a brick of a building, by using the same pieces many models can be built. 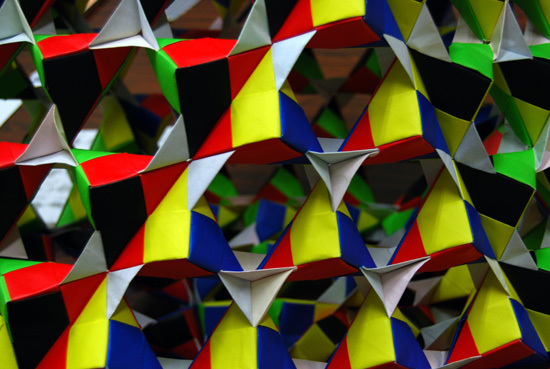 This characteristic of Modular Origami has been inspiring architects, designers as well as mathematicians to investigate geometries of the objects.